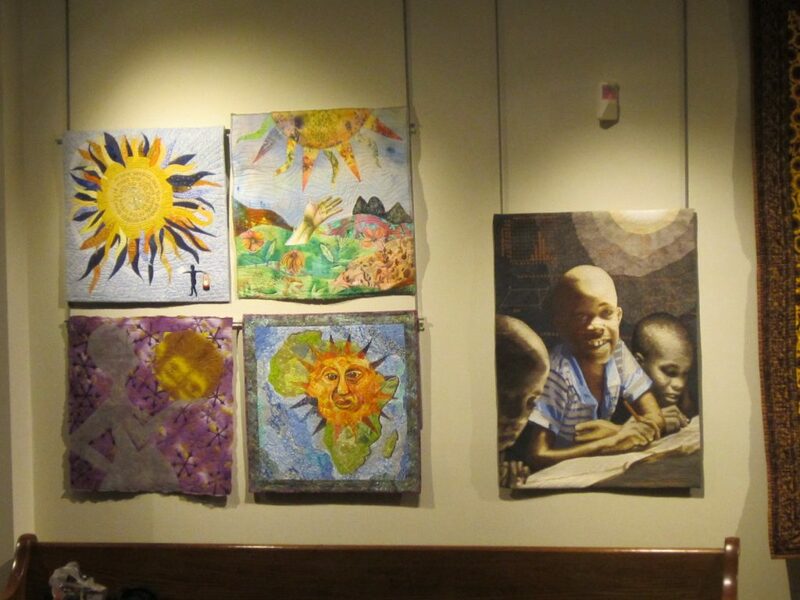 This exhibition was organized to highlight the important work of Solar Sister, a Rhode Island-based non-profit that uses a micro-enterprise model to develop a network of small businesswomen (Solar Sisters) in Africa. Solar Sisters sell solar-based appliances that provide light and electricity to rural households in parts of Arica without access to ready sources of power. These solar lights and mobile phone chargers allow women to work from home, children to study longer hours, families to cook with less indoor pollution and associated health problems, and communities to connect with the outside world. Twenty quilters and 22 quilts from the U.S., Canada (including a sixth grade class from British Columbia), and England were chosen in a juried competition for inclusion in this exhibition. 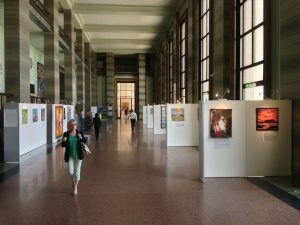 The exhibit opened in Geneva, Switzerland at the United Nations headquarters building, the Palais des Nations, under the patronage of the Ambassador Betty King in March 2013. Starting in March 2014, the exhibit traveled with the Mancuso Quilt Festivals to seven regional quilt shows across the U.S. It was also part of an exhibit titled “Advocacy Quilting” at the New England Quilt Museum in 2015. Visit the gallery of Solar Sister Quilts to view the quilts, read the artists’ statements, and find links to their websites. Have you ever been without power due to an ice storm, heavy snowfall or hurricanes? Depending on the duration and severity of the cause, power outages are disruptive to our daily lives, but usually temporary in nature and soon forgotten. Many of us have generators at home to provide some power, for lights, to keep our food cool, and to either heat or cool our houses (depending on the season) until local power was restored. And we all probably have friends, family and neighbors who helped us through the experience. But what if you had to live under those conditions all the time? No electricity means no refrigeration for food or medicine, no lights for your kids to study by, no hot water for bathing and sanitation, or ovens and stoves on which to cook. It means relying mostly on wood for cooking and heating and kerosene for light. And it means no internet or mobile phone charger with which to connect to your family, friends and community. Long-term, such conditions fundamentally affect the quality of life, health, the ability to provide for one’s family and the future for those who lack access to reliable electricity – a condition known as Energy Poverty. Around the world – and especially in sub-Saharan Africa and parts of Asia – 1.6 billion people suffer from Energy Poverty. 70% live in rural areas, and must travel – often great distances – to work, study, gather fire wood or other fuel, or gain access to health care. Because they must leave home to meet these basic needs, women and children are exposed to physical danger, productivity at work and school is lost, and isolation takes a toll in health care. Families spend up to 30% of their income on energy that is insufficient, hazardous and unhealthy. According to the International Energy Agency (IEA), 2.7 billion people around the world lack clean cooking stoves, and the toxic atmosphere caused by burning wood, dung and other fuel sources inside their homes is a major contributor to the chronic respiratory health problems which kill nearly two million people per year. Kerosene lamps are used widely for lighting but pose a significant safety hazard and contribute to indoor air pollution. In recognition of this debilitating energy poverty – one that hits women and children especially hard – the United Nations has designated 2012 as the International Year of Sustainable Energy for All. According to the IEA, much of the effort underway to shrink the energy gap goes to improving the electrical grid servicing urban areas. To address this problem, the UN has set a target of doubling the share of renewable energy in the global energy mix (from 15% to 30%) by 2030. Globally, investment in clean energy has more than doubled in the last five years, to $260 billion in 2011. That sounds like a lot, but even with an estimated investment of $9 billion per year going directly to projects in the developing world, by 2030 at least 1 billion people – mostly in rural areas – will remain without household power. Many governments, non-profits and businesses have joined forces to help bridge this energy gap, focusing on the promotion of alternative energy sources such as solar and wind power and the adoption of clean cooking technologies to address the major health-related aspects of energy poverty. The International Partnership for Clean Indoor Air (IPCIA) was formed in 2002 as an outcome of the World Summit on Sustainable Development. In 2012, the IPCIA merged with the U.S.-initiated Global Alliance for Clean Cookstoves (GACC), a public-private partnership that supports international efforts to spur the adoption of clean cookstoves and fuels in 100 million households by 2020. Donate: Talk to your guild and ask them to sponsor a Solar Sister Entrepreneur to kickstart a solar business with a “Business in a Bag,” a full start-up kit of inventory, training and support. 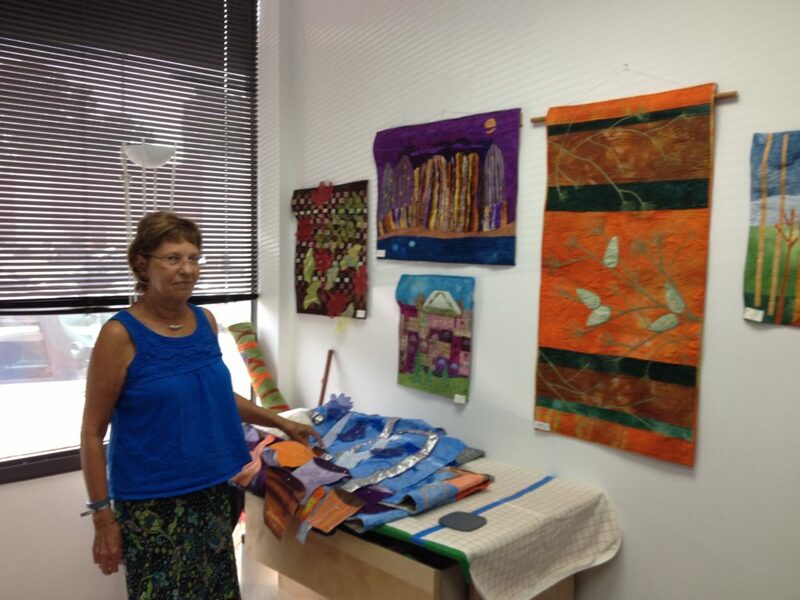 With just $500 from the proceeds of your annual raffle quilt, your guild can start a woman off as an entrepreneur. Donations from individual quilters are also a great way to help. See the Solar Sister website for information on how to make a donation in any amount. Join the Solar Sister Community: Help spread the word, and stay in touch. Solar Sister is on Facebook, Twitter and YouTube. Connect with Solar Sister, share their links with your friends and contacts, and help educate your friends and family about the vital work they do to empower women and break the energy poverty cycle.